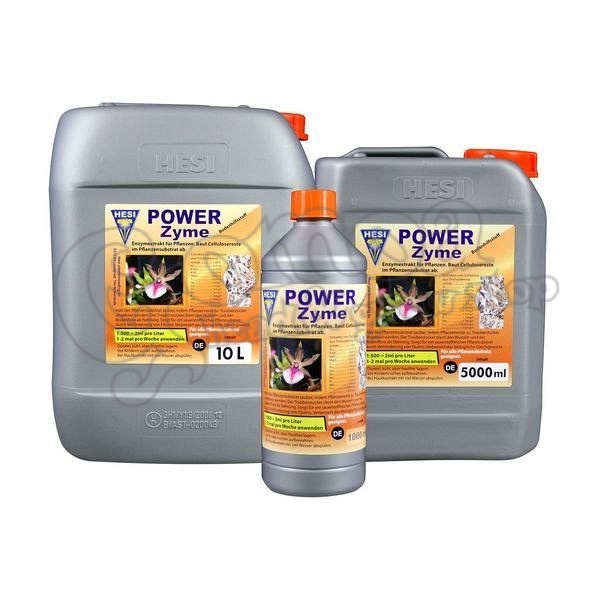 Hesi Power Zyme is an enzyme extract for plants that works well with coco, soil and hydroponics gardening. Made by natural fermentation, this enzyme formula stimulates the root activity and root growth in your plants which accelerates the absorption of nutrients for an overall healthier garden. It works by activating healthy micro-organisms in the substrate, which, in turn recycles the valuable compounds from root remains for re-absorption. Power Zyme also increases your plants' resistance to disease!